Knowing he wanted to be in the business world Matt went to Albion College where he earned an Economics and Management degree. Furthermore, He learned how important small businesses are to our local economies, communities, and people. He developed a passion for learning about running and operating a small business. It was late in his college career when Matt decided his business was going to be in tax and accounting. Taking a unique road to getting his certified public accounting license he gained knowledge and experiences that have given him the tools and expertise to launch his own Tax and Accounting practice. Matt realized his dream in January of 2015 when he opened McComb & Company, LLC. His passion for helping individuals and small business’ reach their goals combined with his technology and accounting background have quickly resulted in Matt running a Next Generation Accounting Firm helping individuals and small businesses. Matt could not have realized his dreams without his wife Kassi & three boys Jacob, Andrew & Bradley at his side. His other passions include time vacationing up north, activities outdoors from boating to hunting, and the time spent loving and laughing with family and friends. Chris comes to us from the Rehmann Group as well as the State of Michigan Office of the Auditor General. As an auditor, he gained extensive knowledge and experience in accounting and the preparation of financial statements. Chris has a Master’s degree in Accountancy from Western Michigan University and a bachelor’s degree in Economics & Management from Albion College. He will be responsible for performing and reviewing monthly bookkeeping as well as the preparation and review of client’s monthly, quarterly & annual financial statements. Chris recently got married to his wife Chelsea. Outside of work, he enjoys golfing and spending time with friends and family. Kathleen came to McComb & Company in August 2017 by way of the HGS Corporation acquisition. She brings with her 20 years of accounting, payroll, and tax experience with HGS. More importantly, her acquaintance and rapport with the HGS clients has helped to contribute to a smooth transition for all. Kathleen's prior work experience includes; building and managing a local business, guiding a 3rd tier automotive supplier to triple digit growth and ISO certification, managing a payroll department for an international automotive supplier. Outside of work, Kathleen likes to spend time with her friends, her son, daughter-in-law, and new granddaughter. She also volunteers at various local non-profit organizations. Lani graduated with a Bachelor of Science degree in Elementary Education and an Associate degree in Theology, from Southwestern Assemblies of God University, in Waxahachie, TX. She has ten years of experience in education, teaching preschool at Swartz Creek Community Schools and moving to LakeVille Community Schools where she taught kindergarten, first grade, and fifth grade. After a summer internship with McComb and Company, Lani decided to accept a full-time position with McComb and Company. 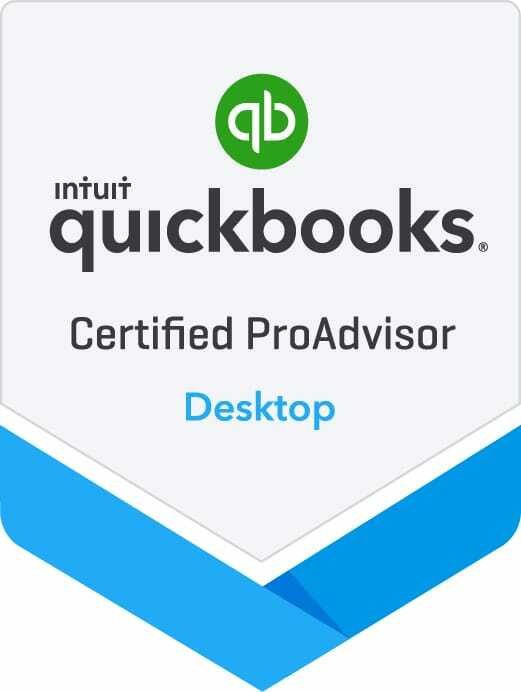 As a lifelong learner, she continues to take accounting courses and is now certified in QuickBooks Online. She is excited for this career change, and looks forward to working with small business’. Lani loves spending time with her kids, Zack (son), Jakoby (son), and Zoey (daughter) and her family and friends. She spends most of her time cheering on her kids, nieces, and nephews at all their sporting events. In her spare time, she enjoys spending time at the beach, reading, cooking, doing crafts, and traveling. Kassi has been with McComb & Company since the doors opened in January 2015. She is responsible for marketing and promotional events. Being in the tax and accounting industry for 10 years, she has worked for Thomson Reuters Tax & Accounting, Thomson Reuters Westlaw and Paycor serving in many sales and marketing roles. Kassi graduated from Madonna University with a bachelor’s degree in marketing and MBA in International business. Kassi & Matthew are married with three boys, Jacob, Andrew and Bradley. They reside in Chelsea, MI. She enjoys spending time with family, boating, golfing, and downhill skiing. Amanda graduated with an Associates of Business and a Certificate of Dental Assisting from Washtenaw Community College. She has recently left the world of Oral Surgery to join McComb and Company's growing team and has 10 years of experience in Customer Service to bring to the field. She joined our team in December 2018 and will be responsible for client communication, scheduling, and managing and distributing information to clients. Outside of work Amanda loves spending time with her husband Jake and two dogs Peggie and Dexter. Together they enjoy kayaking, house projects, camping, hiking, cooking, and traveling. Linda has been working for McComb & Company from the beginning. She runs the payroll department efficiently and effortless. Payroll laws and regulations are complicated and ever changing, Linda takes pride staying up to date on these issues to insure our clients receive the very best advice and service. Previous to McComb & Company Linda worked as a bookkeeper and payroll departments at Spensley & Associates for 15 years, and has been in the accounting field for more than 25 years. Linda is married and has 2 children of her own, as well as 2 step-children, and 10 grandchildren. Outside of the office she enjoys camping, quilt making, and time with family. She and her husband are currently studying in a ministerial program at the Church of God. Ian joined our team in late 2018. He previously worked in the financial services industry at Nast Financial Services for three years before starting his position here at McComb and Company. Ian graduated from Cedarville University. Ian has a passion for community service. He is a member of the Cultivation Committee for the Eastern Market Corporation non-profit, he volunteers his time helping to make a healthier, wealthier Detroit. At home, he enjoys spending time with his wife, Molly – watching movies, hiking, and going on road-trips to the UP.